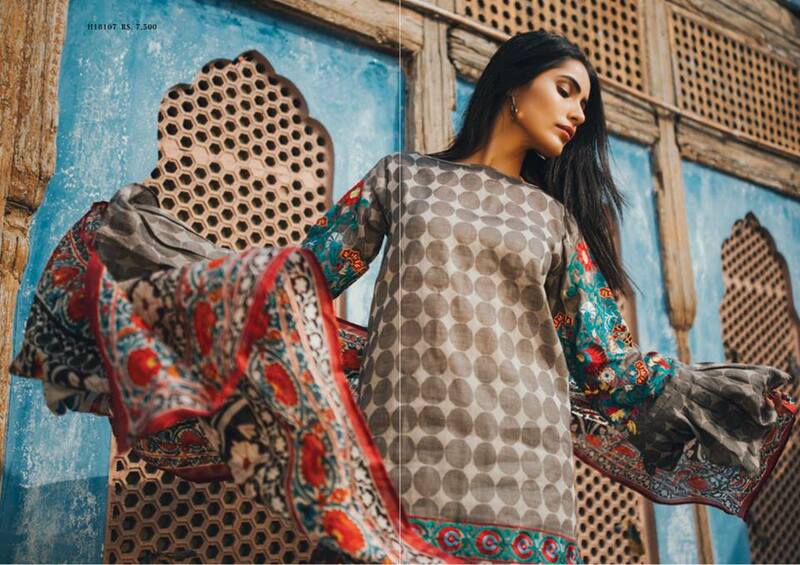 Newest Khaadi summer collection 2019 is arriving. I suggest, start saving money as much as you can because it is Khaadi. Spending money on dresses of Khaadi will not let anyone done. Khaadi has its own place in the heart of its valuable customers. Girls discuss this with other, gossip this and you will find out every 2 girls out of 5 are the fans of Khaadi. Girls if you have a love for stylish dresses and up to date designs then you should have dresses of Khaadi in your wardrobe. Khaadi is a famous name in Pakistan. 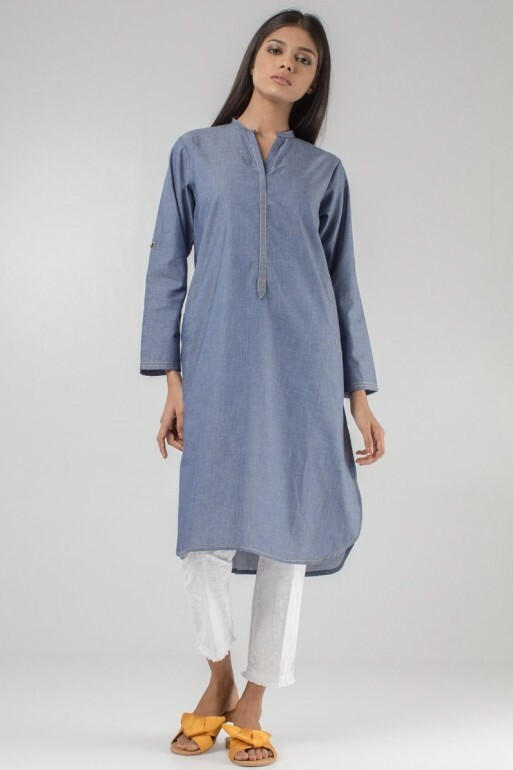 Khaadi Summer collection 2019 offers numerous varieties for men, women, and kids. It didn’t stop on just clothing, it enhances its boundaries to the Home Textile. The home textile of Khaadi has Bedsheets, Bed Covers, Placements, Roti Romal, and many other things. Girls have a special love for Khaadi and last year its sale led women to fight on dresses. No one wants to ignore its dresses especially when they are on SALE. It’s time to discuss New Khaadi Summer Collection for 2019. Actually, before finding its new collection, I was also curious. 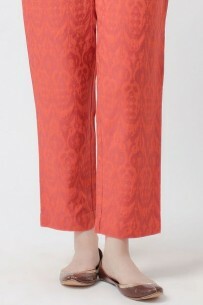 I wouldn’t miss this new collection even if the India-Pakistan cricket match is on air. So do you want to know what is special this time in New Summer Collection of 2019? New designs, new colors, new printing designs, and embroidery, in Kurta, Shalwar, Bottoms, Tights, Formal, Casual and so on, are coming from Khaadi. Women have multiple choices for summer clothing. Don’t Miss our latest Summer Shirts for Girls. Guys take out your winter clothes from the wardrobe. Make the place for the new collection and enjoy the summer with confidence and show your happiness to your loved ones because a woman always has special feelings towards her look. Guys prepare yourself to enjoy summer and make your own personal collection. Summer is like exploring new and trendy dresses. 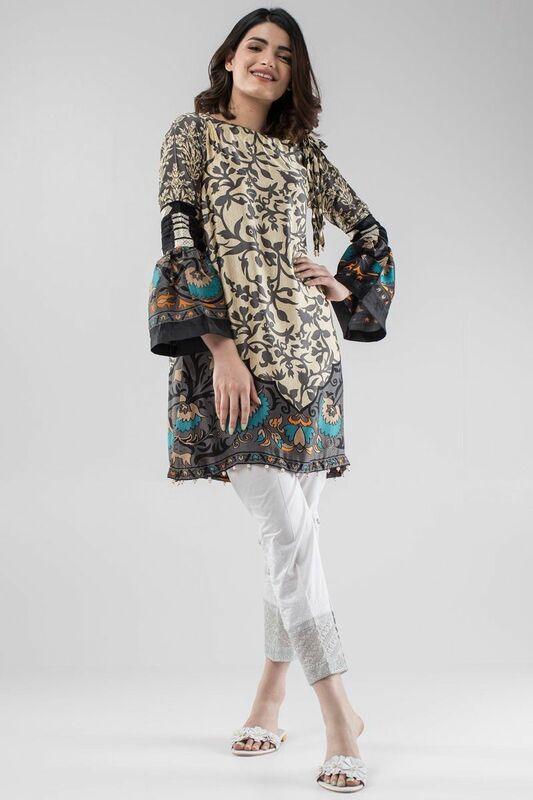 Khaadi is offering multiple options for girls to enhance their charm. 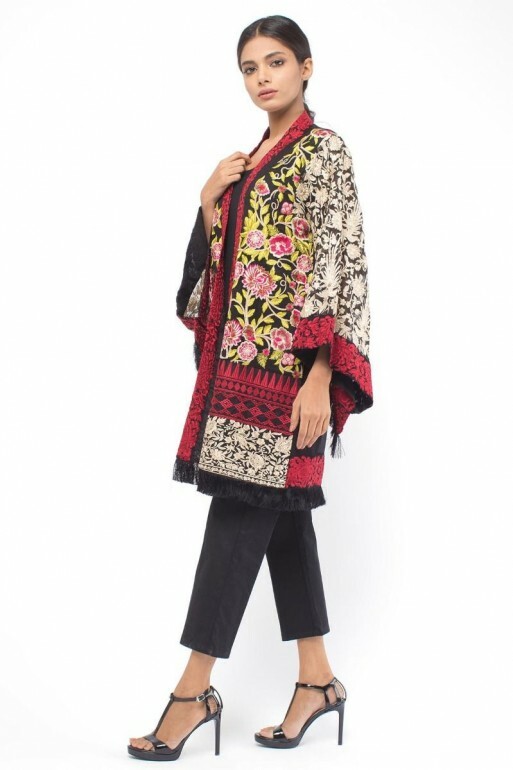 Haven’t you seen Pakistani summer clothing brands? Watch out Maria B. Summer Lawn collection for choosing your dress in upcoming summer. Most important thing is your own instincts, you can wear whatever you are comfortable with and feel good. It’s your life, so live it like you want. Dresses for summer should flows with fabric because sometimes it gets really hot. If you are in a hot area, don’t wear black color too much because it absorbs heat. This year designers have designed dresses with extra care and love. In Pakistan, most people like to buy unstitched suits and wants to tailor them to their own. So Unstiched category of Khaadi doesn’t want to stop you guys. New Sapphire Eid Unstiched collection has been launched, also don’t miss the opportunity to watch it out. These new unstitched dresses are updated and going with the flow so just grab them from stores. Awesome designs and the eye-catching color theme will make you love this collection. I am pretty sure you will not just buy one dress. I think you will be confusing to choose which is best. The trend of Kurtas is going viral nowadays. I personally like Kurtas. I just have a special kind of feeling towards them. 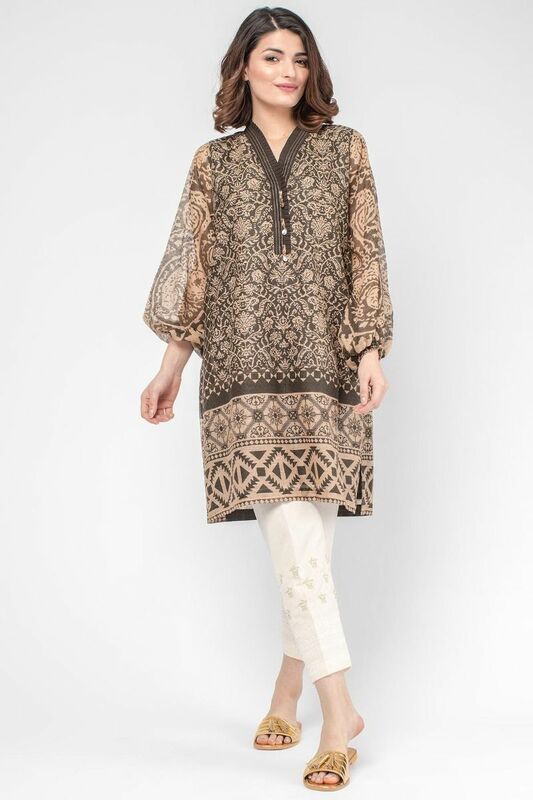 The beauty of Kurta is like you can wear them almost everywhere and they look more stylish than others. 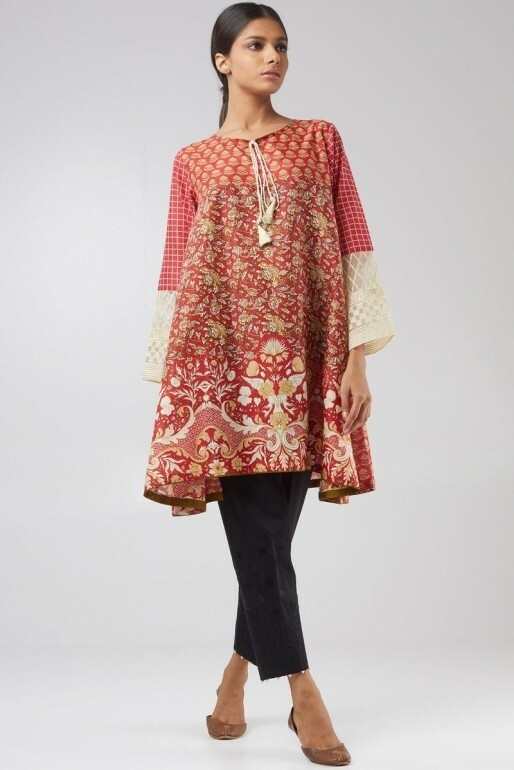 With Kurtas you can explore more options of bottoms. Similarly, Bonanza Summer Top & Tights collection is much comfortable and solacing for everyone. Everyone has its own taste so find your own taste and embrace it. 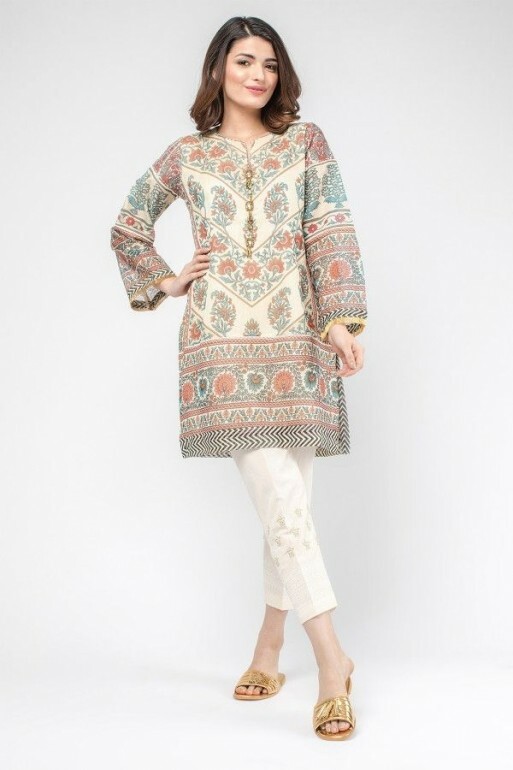 Khaadi Pret summer collection of 2019 is offering more advanced styles, designs, and colors to wear in every kind of environment. I can’t wait to buy them, they are my love. 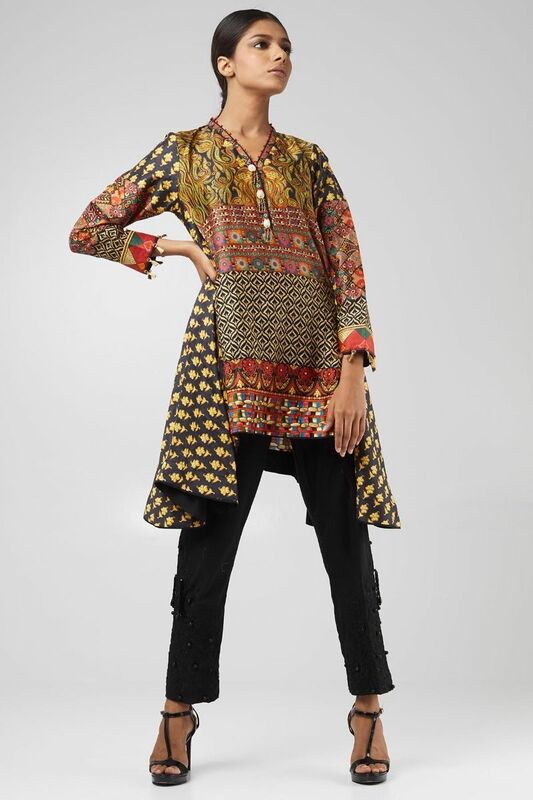 Khaadi Khaas is about semi-formal and casual dresses. Girls of all ages can find them attractive especially for students and business women. Working women can also wear them if their official environment is a little bit friendly and more relaxing. 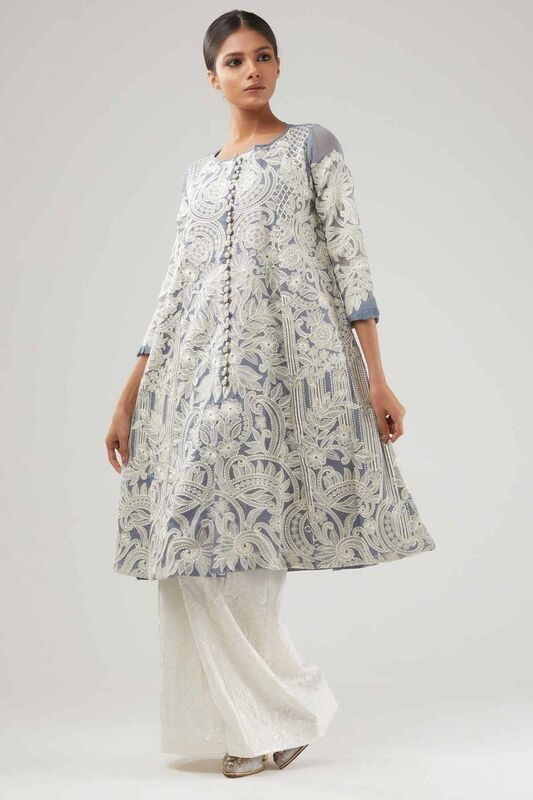 The latest summer kurti designs will make you more ambitious about grabbing your own piece. Fellows new unbelievable dresses are on the way. Change their destinies to your closet. Show how strong you are to the people in your circle. Dresses show the personality of a person. Face every situation with bravely and enjoy the new collection of Khaadi Khaas collection of this summer. 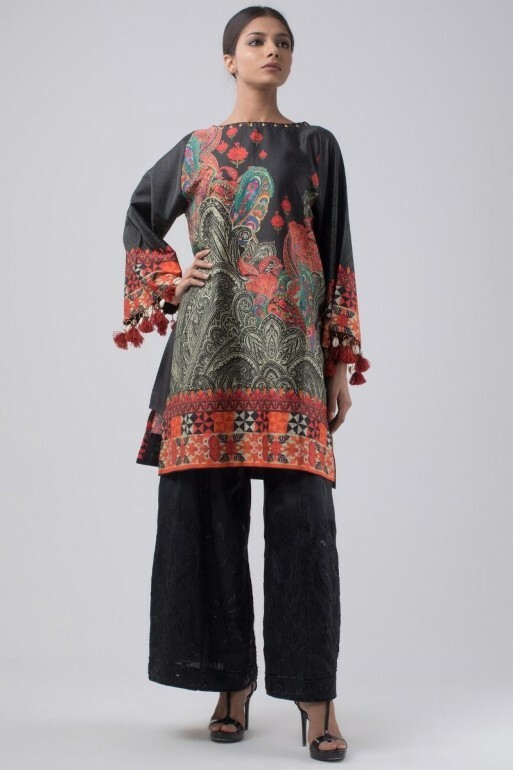 Khaadi is also offering new designs and styles to wear with good looking dresses. Good quality and newest styles in Formal Pants, Pants, Shalwar, Denim and obviously tights are coming with Khaadi Khaas, Pret, and Unstitched Dresses. In my personal collection, I have more bottoms than dresses. I like to change bottoms with shirts to look different every time. This is me but you are different. Summer is more kind of yellow color. Buy khaadi new summer collection of 2019 in yellow color dresses and you will find out that yellow will actually help you to glow. Just visit the stores and decide for yourself. Guys from Khaadi website buying dresses online is also possible if you cannot go to stores. We also want to enjoy this summer with the colors of your comments and views.